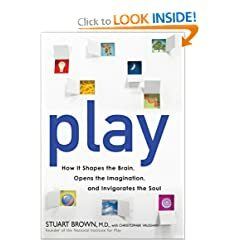 Stuart Brown has released an new book on play in which he identifies 10 reasons play is important. You can check out longer descriptions of all 10 reasons that play is important in either his book, Play: How It Shapes the Brain, Opens the Imagination, and Invigorates the Soul or from an article in US News and World Report entitled, 10 Reasons Play Can Make You Healthy, Happy, and More Productive. 1. Play is good for the brain. 2. Play teaches the use of the imagination. 5. Sometimes the best way to learn a complicated subject is to play with it. 6. 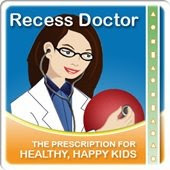 Kids do better academically when they have recess. 7. Physical play delays mental decline in old age. 8. A little play can solve big problems. 9. Playing at work it not just useful its essential. 10. 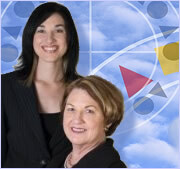 When we get play right, other areas of our life go better.